Potato price -- The price of potatoes quoted at from $3 to $3.25 per barrel, with little doing all along the line so far as shipments were concerned. Potato price — The price of potatoes quoted at from $3 to $3.25 per barrel, with little doing all along the line so far as shipments were concerned. The Bureau of Markets Bulletin for Dec. 5 gave the total Maine shipments to date as 4.871 cars, against 12.043 cars the previous year at same date. Total Maine shipments for the day were 40, total for all states for day 282. New director — At a meeting of the board of directors of Presque Isle National Bank, Herbert W. Kitchen was elected director of the bank to fill the vacancy caused by the death of George B. Hayward, late of Ashland. Mr. 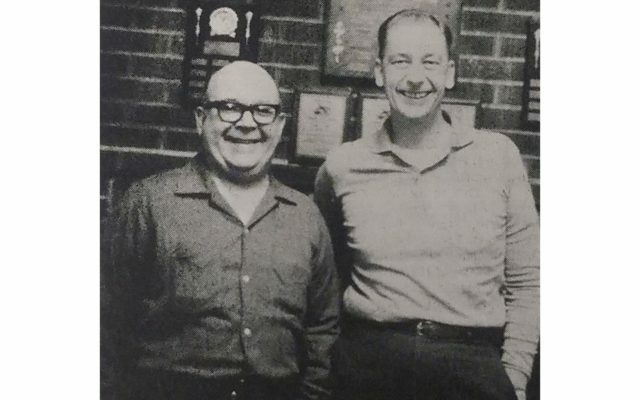 Kitchen was a progressive farmer, who had won the confidence of a large circle of friends, and was one of the directors of the Aroostook Co-Operative Co.
Top attendance — The monthly meeting of the Training School PTA was held Tuesday night. Rev. Thomas Cornish was the principal guest of the session, displaying interesting movie slides of Colorado. Mrs. Joseph Akeley, the president, reported on the state PTA convention held at Augusta. Miss Erma Robertson explained methods used to teach reading. Guest speaker — Major Norman Vaughan, of the Presque Isle Army Airfield, was the principal speaker at the Rotary Club meeting, describing his experiences as a member of the famed Byrd Antarctic Expedition. Dr. Levi Trundy, president, presided at the session. Edward Howe was introduced as a new member of the club. Sales tax hike — Presque Isle had climbed to seventh position in taxable sales in the state, according to figures released from the Bureau of Taxation in Augusta. Aubrey Briggs, executive manager of the Presque Isle Area Chamber of Commerce, said the September figure which moved the city into the seventh position totaled $3,189,172. He said that Presque Isle in July was ninth and in August moved into the eighth spot. Other figures for area shopping included Caribou, $1,901,556; Fort Fairfield with $453,475; and Houlton, $1,591,611. K of C activities — The Rev. John J. Harris Council Knights of Columbus held a “Police Appreciation Night” and honored the entire Presque Isle Police Department at a supper at the K of C kome. Rev. Romeo Doiron, pastor of St. Mary’s Church in Presque Isle, was the guest speaker. Special award — A special sportsmanship award was presented to Aaron Bragg during the annual 4-H Club banquet Nov. 13 at the Mapleton Community Center. The award, in recognition of Bragg’s years in service to the organization, was presented by Marsha Reed, Aroostook County 4-H Leaders Association. A good turn — Members of Easton Boy Scout Troop 187 collected over 1,400 units of food to use in holiday gift baskets for families in need. The four-member team that was “Scouting for Food” was comprised of Andrew King, Seth Dudley, Michael Ireland and Simon Alexander. Park donation — Members of Presque Isle’s veterans’ organizations received a donation from the Presque Isle Lodge of Elks to aid in refurbishing Veterans’ Memorial Park, which had been damaged by vandals. The lodge sponsored a casino night specifically to aid the park restorations, and presented a final donation of $728.